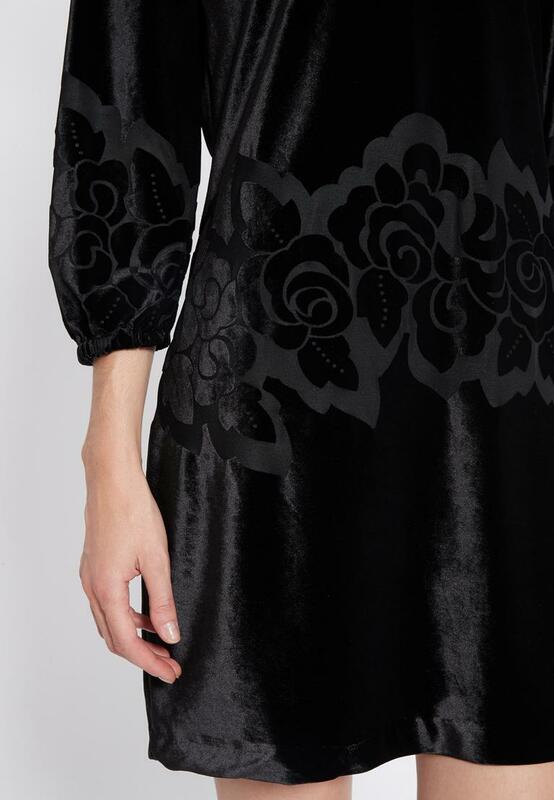 Our style team says: velvet is what attracts us this season. 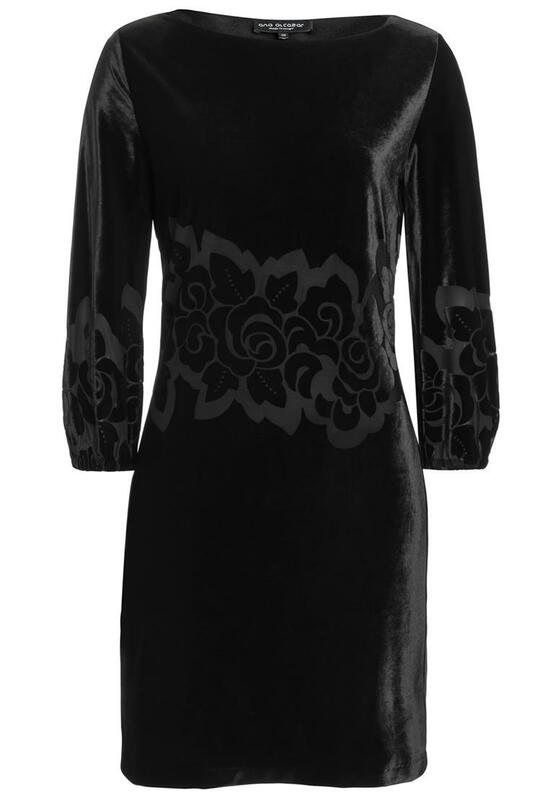 This mini dress in a trendy velvet look radiates its own special shine. The unusually placed rose decoration draws attention to the overall loose cut. Never combine with other velvet accessories. A garment made of velvet is always a key piece and stands best on its own. It's perfect with bootees or pumps with block heels.